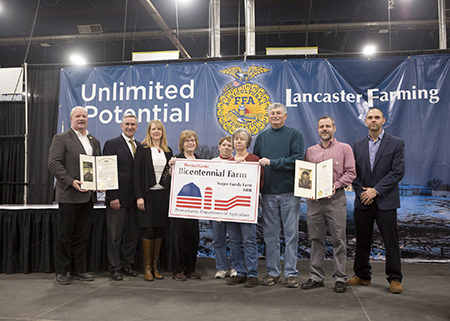 The 103rd Pennsylvania Farm Show came to a close last Saturday after attracting large crowds all week. In case you missed it, here’s the link to my interview on the Face the State program that aired last Sunday morning on CBS 21. We talked about the Farm Show, agriculture and the new legislative session. Congratulations to Don and Sue Seager of Blain, Perry County, for being honored with a Bicentennial Farm Award by the Department of Agriculture. The award recognizes families who have maintained the same farm for 200 consecutive years or more. Congratulations to William and Crista Lyons of Loysville, Perry County, for being honored with a Century Farm Award by the Department of Agriculture. The award recognizes families who have maintained the same farm for 100 consecutive years or more. 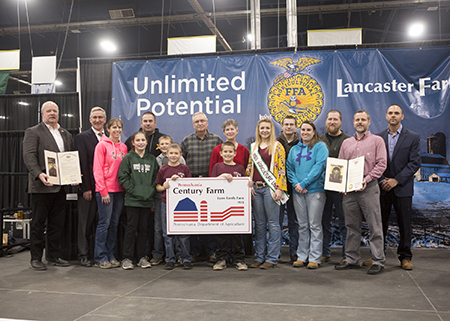 Here’s my interview with Margaret Brice of Duncannon, Perry County, who was named a 2019 Pennsylvania Farm Show Scholarship Foundation recipient. She discusses her goal of becoming an equine veterinarian. Here’s my interview with Thomas Gabel of Newport, Perry County, who was named a 2019 Pennsylvania Farm Show Scholarship Foundation recipient. He talks about his FFA experiences and plans for the future. The Central Pennsylvania Food Bank this week began providing food assistance to federal employees who are missing paychecks due to the partial government shutdown. They are eligible to receive a box of food, including fresh milk, eggs, fruits, vegetables, frozen meats and shelf- stable items. Employees are advised that they will be asked to show a federal workplace ID and fill out a simple “self-declaration” form required by the U.S. Department of Agriculture. The food bank, located at 3908 Corey Road in Harrisburg, is providing federal shutdown food assistance services on Tuesdays, Wednesdays and Thursdays from 4-6:30 p.m.
Pennsylvania college students with known or unknown food allergies now have an extra layer of protection in the event of an allergic reaction. Act 93 of 2018 authorizes colleges and universities to have non-patient specific epinephrine auto-injectors on hand in case of an emergency. The new law also allows law enforcement agencies, summer camps, restaurants, amusement parks, sports facilities and other facilities to carry the EpiPens. 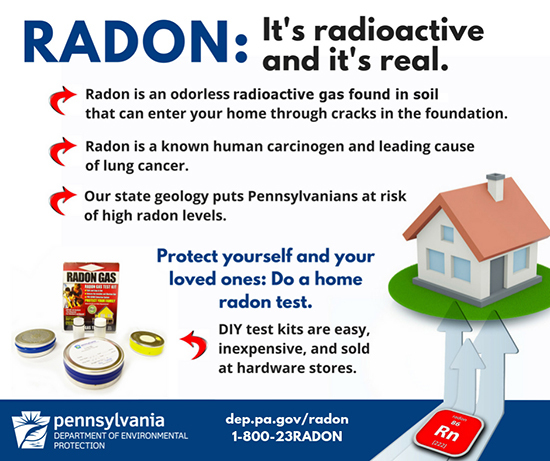 An estimated 40 percent of Pennsylvania homes have higher levels of radon than national safety standards, due to the state’s geology. However, residents can perform a simple test to detect this gas, which can cause lung cancer. Winter is a good time to test for radon, because doors and windows are generally closed, providing more accurate results. Simple radon test kits are inexpensive and available at home improvement and hardware stores. Learn more here.